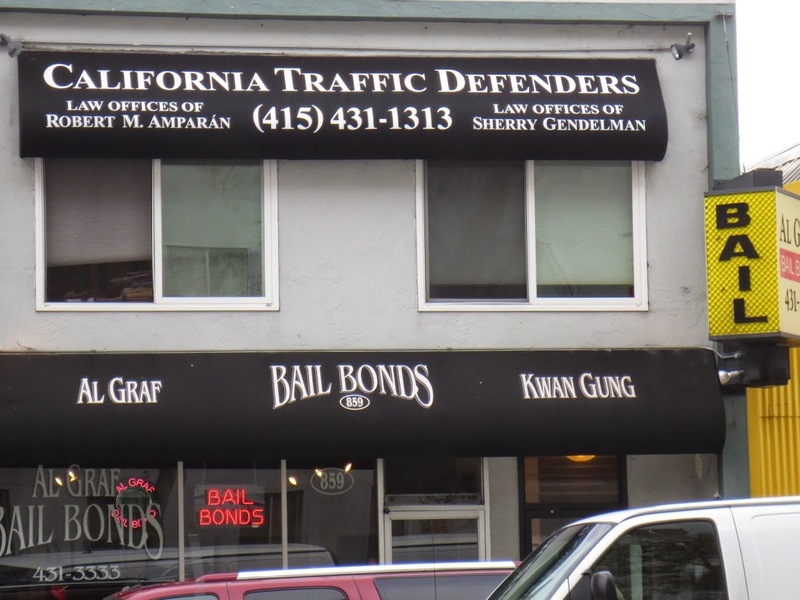 The San Francisco traffic defense attorneys at California Traffic Defenders provide legal services to San Francisco residents and other Bay Area clients for a broad variety of traffic-related legal problems, including DUIs and misdemeanor traffic offenses. We can also assist you in challenging a “Negligent Operator” designation by the DMV. If you have recently received a notification from the DMV regarding your possible status as a Negligent Operator, contact us for a free consultation to find out how we can help you protect your California driving privileges. The Negligent Operator Treatment System (NOTS) is a program created by the DMV to keep so-called “negligent motor vehicle operators” off the roads. NOTS is based on assigning “points” over time to every California license holder for traffic offense violations to identify careless or negligent drivers. Most California drivers are familiar with the point system, since points on a driver’s record will cause insurance rates to increase. But points may also affect the retention of your license. Depending upon the number of points a driver racks up, the DMV has the authority to suspend an individual’s license, or place the driver on “probation” for a fixed period of time, during which any additional points earned by that driver will lead to license suspension or even revocation. Basically, the NOTS system operates this way: Citations and other traffic offenses, known as “moving violations” are assigned a fixed number of points. As a driver commits various violations, these points will show up on his or her record. Not every traffic citation places points on a driver’s record. For example, a minor mechanical violation, such as a burned out light-bulb, carries no points. However, more serious violations, such as speeding, a DUI, or hit-and-run, will carry one or more points. For commercial drivers, point assignments are varied and can be more than those for non-commercial drivers. In addition, the California DMV will add points for violations or collisions occurring outside of California. At Level I, a driver will receive a warning letter if he or she accumulates 2 points in 12 months, 4 points in 24 months, or 6 points in 36 months. At Level II, a driver will receive a Notice of Intent to Suspend if he or she accumulates 3 points in 12 months, 5 points in 24 months, or 7 points in 36 months. At Level III, the driver receives an Order of Probation/Suspension if he or she accumulates 4 points in 12 months, 6 points in 24 months, or 8 points in 36 months. The DMV considers these point levels to provide sufficient evidence that the driver is a negligent operator. The driver will receive a one year probation and a six month suspension, effective 34 days after the notification is mailed. At Level IV, if the driver commits a traffic violation or is involved in a collision during the probationary period, probation will be extended an additional 6 months for each of the first and second violations; for a third, the license is revoked for a full year. If you have received a NOTS notice, you are entitled to request a formal hearing before the DMV. This is extremely important as you only have 10 days from the date of the notice to request the hearing. In that hearing, you may dispute any inaccuracies in your record and present any mitigating evidence relevant to your driving record in order to show why you should not be classified as a negligent operator. There are many factors which come in to play during these hearings and we can help you navigate them in order to help you save your license. It is essential that you obtain experienced, qualified, and competent legal help and representation for a DMV negligent operator hearing. DMV hearings have procedures and evidentiary requirements comparable to a trial, and you must be prepared and have a clear understanding of how these proceedings operate in order to prevail. The San Francisco Bay Area traffic defense lawyers at California Traffic Defenders can help you to present your best case before the DMV. We proudly serve clients in multiple Bay Area counties, including San Francisco, Marin, Contra Costa, Alameda, San Mateo, Santa Clara, and Solano. For a free consultation, contact us at 1-877-460-8895 or use our online consultation request form as soon as possible. Remember, you only have a limited time frame in which to request a hearing. Don’t wait until you have no options left and you are stuck with an automatic suspension. Give us a call.